Divine traditional style home located in popular Applegate with quality features and many upgrades throughout! 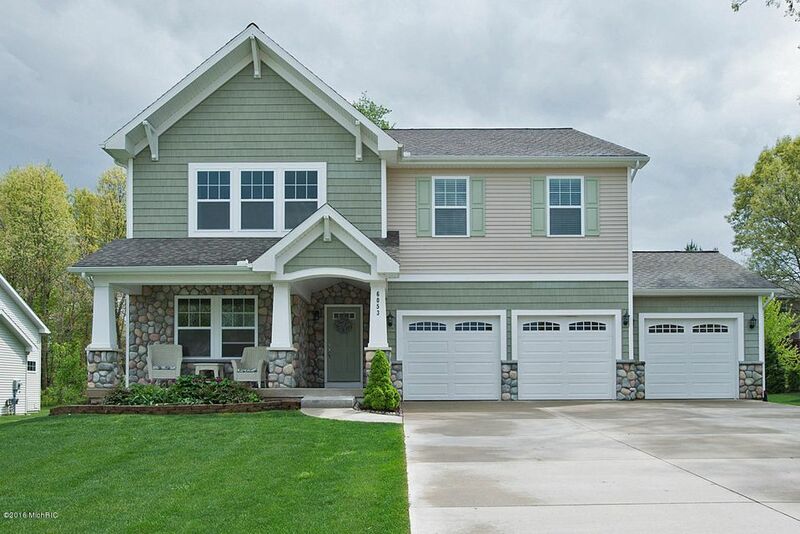 This open floor plan boasts 5 bedrooms, 3.5 baths w/ over 4200sqft! Main level incl den/office, 1/2 bath, mud room w/huge walk-in closet, formal dining w/columns creating easy access to family room that highlights a beautiful gas fireplace & numerous built-ins & custom baskets. Gourmet kitchen w/eating area, walk-in pantry, stainless appl and door to screened in porch with private, relaxing views overlooking backyard with additional lot (adjoining extra parcel included).Upper level offers a grand master suite with vaulted ceilings, enormous walk-in closet, jacuzzi tub and glass & tile shower. Spacious playroom, 3 add'l bedrooms, family bath and laundry room also on upper level.